6. Try Taking a Test Preparation Class: A test preparation class is a great way to study and improve your score for the exam. Many class instructors know the ins and outs of the exam and can help you to increase you score in the fastest way possible. See our list of the best MCAT prep courses. 7. Practice, Practice, Practice! 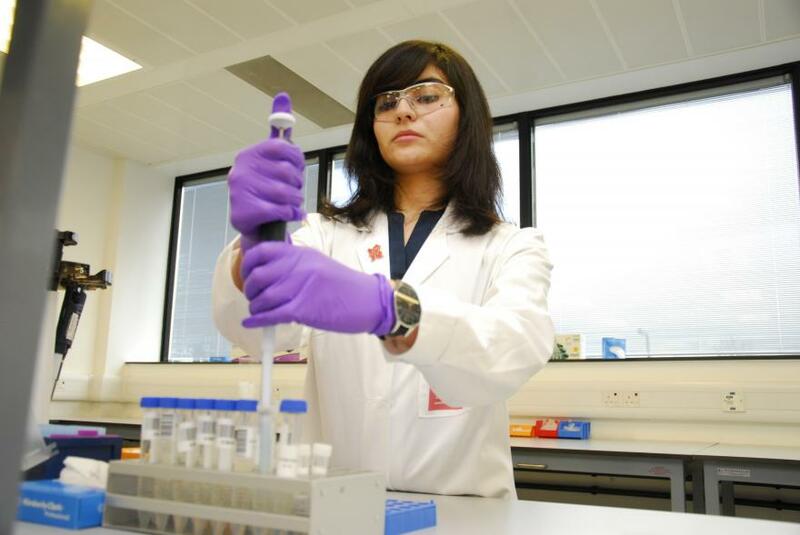 : Practice makes perfect and that certainly is no different for the MCAT. Most test preparation experts suggest that you study for at least 100 hours to prepare for the exam. So get to it! To get some official practice tests, visit Next Step Test Prep. 8. Read the MCAT Essentials: The MCAT Essentials, updated every year by the makers of the exam, is a great way to gather up to date suggestions and tips on the current year’s exam. 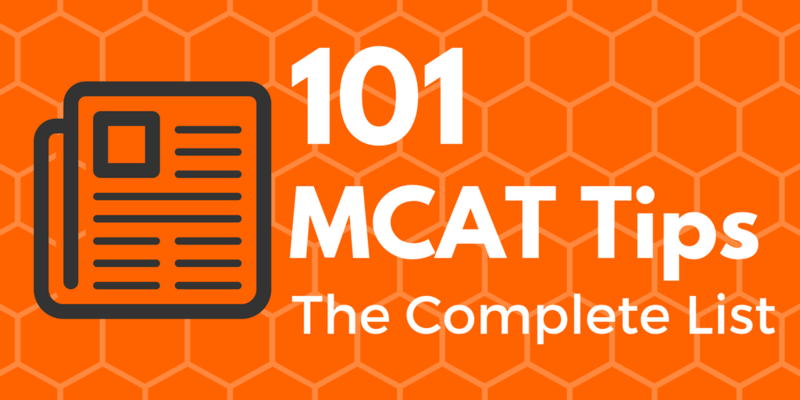 Any questions that you have about the MCAT can be answered in this document. 9. Practice at the Edge of Your Ability: Practicing on questions that are way too easy or way too hard can be a waste of your time. Make sure to practice with questions that are just out of your grasp so that you are challenging yourself. 10. 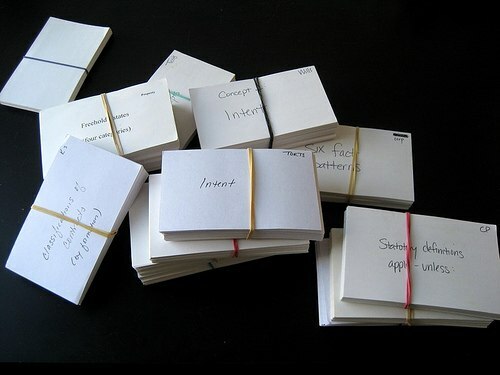 Use Flash Cards for Incorrect Questions: Flash cards are a great way to improve quickly. Make a flash card for each practice question that you get wrong and then go over them periodically. Once you get that question down then you can remove it. 11. While Practicing, Simulate Real Testing Conditions: Pretend like you are taking the test on exam day when you are just using a practice test. Try to time yourself and keep all distractions away. You want to know how you will respond to the actual exam. 12. Make a Study Schedule: A study schedule is great way to keep yourself focused on the task at hand. Map out your studying time in advance so that you get punished if you fall behind. It is a great way to keep yourself accountable. 13. Go Over Your Mistakes: Learning from your mistakes is one of the best ways to learn and going over your mistakes is one of the best ways to do that. Make sure to go over every problem that you missed and the reasons why your answer was wrong. 14. Take at Least 2 Full Practice Exams: You want to be certain that you know how it is going to be on exam day. Take at least 2 practice exams so that you know what to expect. This will ease your nerves, allowing you to score better when the real time comes. 15. Get a Test Prep Book: A test preparation book is a great way to help yourself prepare for the exam. These books usually have exclusive tips and all of the subjects on the exam carefully laid out for easy digestion. They help to save you time and frustration. See our list of the best MCAT prep books. 16. Know What Question Types to Expect: There are many different types of questions on the exam. Be prepared for each question type, especially those that you are not good at. 17. Work on Your Weaknesses Before Strengths: Working on you weaknesses can sometimes be frustrating, but do not give up too quick. It is a lot easier to make your weaknesses a lot better than it is your strengths. 18. 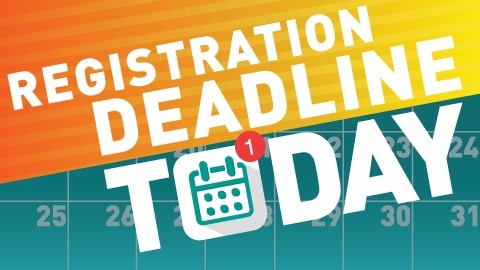 Do Not Forget to Register by the Deadline: This can be a crucial mistakes that almost anyone can make. Make sure that you have signed up for the exam in advance so that you can make a worthwhile study schedule that ends on your exam date. 19. Teach the Concepts to Someone Else: Teaching is actually one of the best ways to learn. Get a study partner and teach them some topics, and have them teach some to you. A win-win and you will both remember the topics better. 20. Try to Practice With a Computer From the Very Beginning: Since the MCAT is computer based, it is essential that you are good with using a computer. This tip may be essential for some, but most people have the basic computer skills required. If you do not have a computer, you should get one now. See our list of the best laptops for college for help. 21. Diagnose Your Skills Early On: Be certain to diagnose your strengths and weaknesses early on and to allocate your study time accordingly. Try to start with your weaknesses and once you have covered everything, go over them again. 22. Do Not Spend Too Much Time on a Single Question: Spending too much time on any one single question can be your downfall. If you find yourself spending too much time on one question, then move on. 23. Do Not Flip Back and Forth Between Questions Too Often: Flipping back and forth between questions can take up precious time. If you do not know a question, then move on and come back through the ones you skipped a second time. 24. Cover up the Answer Choices: A great trick to use on some questions is to cover up the answer choices. Come up with your own answer to the problem and then pick the answer choice that is closest to it. 25. Every Question Is Worth the Same Amount: Remember that every question is worth the same amount and that hard problems are worth the same as easy ones. Answer the easy ones first to make sure they are out of the way and then work on the hard ones. 26. There Is Only 1 Correct Choice for Each Question: You should be able to eliminate every other choice except for the correct one. If you cannot eliminate them all then skip it and come back for a new perspective. 27. Read Each Question Carefully: Be certain that you read each question carefully. The exam writers will often try to trick you by making confusing questions or by getting you to answer something completely different. 28. Combine Common Elements for a Quick Guess: A good trick to use when you know absolutely nothing about a question is to combine the answer choices to make the most like choice. For example, if the answer choices are blue dog, blue cat, red cat and brown owl, choose blue cat since it combines the 2 most common parts. 29. Skip Any Questions That You Have No Clue On: If you have no clue on a question, then skip. You can come back and answer it later once you have gotten through all of the questions that you can at least make an educated guess on. 30. 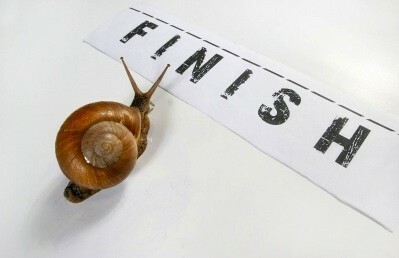 Pace Yourself: Do not try to spend too much time on any one question. Try to spread out your time and pace yourself so that you do not put all of your eggs into one basket. 31. Do Not Be Clock Paranoid: Be aware of the clock, but do not be paranoid of it. Just glance and go back to working on the problem at hand. Be aware, not paranoid. 32. But, Pay Attention to the Section Almost Over Announcement: To go along with the clock, try to take notice when there is only a few minutes left. This means that you need to start guessing and make sure that you leave an answer for every single question. 33. Eliminate as Many Incorrect Choices as You Can: To make it easier on yourself, on tough questions eliminate all of the obvious wrong answers first. This will allow you to focus on only the answer choices that matter. 34. Don’t Waste Time Memorizing Details: The test writers are not trying to test if you can memorize details. They want to know if you can get the gist of a topic or what the writer is trying to convey. Don’t waste your time memorizing details. 35. Do Not Skim the Passages: Skim passages can lead to your downfall. Try to be focused on reading and knowing what the writer is trying to convey. Do not get yourself into a false sense of security and try to skim. 36. Do Not Ignore Passage Introductions: Passage introductions can sometimes be useful, do not skip them. They can be easy to skip since they sometimes look like directions, but don’t. 37. Answer Questions on Familiar Topics Before Unfamiliar Topics: Answer questions from the passage that you remember reading about. Your memory can fade quickly during the exam, so skip to questions that you remember from the passage. 38. Read Actively: Try to remember the questions in the back of your mind while you are reading through the passage. Make sure that you mark where you think a critical paragraph may be. 39. Do Not Take Too Many Notes: Taking notes can take up a lot of time. Be certain to make your notes, short, quick and too the point. You do not want to waste time taking notes when you can be reading or answering questions. 40. Read the Questions Quickly Before Reading the Passages: Make sure to read the questions carefully before reading the passage. Keep the questions in the back of your mind while you are reading so you know when to hone in on a section. 41. The First and Last Sentences of Each Paragraph Are Critical: The first and last sentence of each paragraphs gives a lot of info on what the paragraph is trying to convey. Keep this is the back of your mind. 42. Spend More Time on Answering Questions Than Reading: Be certain that you spend more time getting to know the questions and their nuances instead of reading the passages. Try to answer the questions not from specifics, but from overarching ideas. 43. Get an Idea of the Overarching Ideas of the Passage: Like what was said earlier, do not spend time trying to get down the specifics. Try to find the ideas of the writer and what side or idea they are trying to put forth. 44. Base Your Answers Solely on What Is Stated or Implied: Do not base your answers on outside knowledge of a topic. Base your answers from the passage and what is implied within. 47. 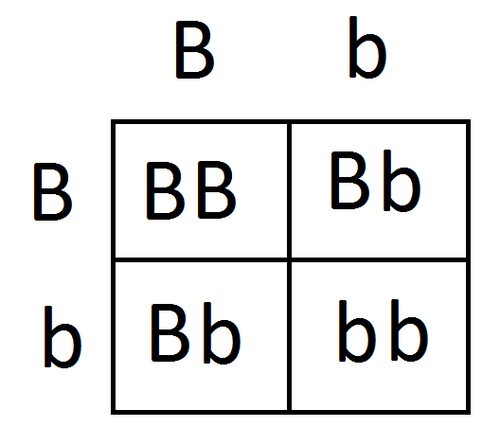 Bioenergetics: Enthalpy, free energy, entropy, etc. 48. Acids/Bases Calculations: pH, number of H+ ions, etc. 49. Types of Isomers: Diastereomers, enantiomers, anomers, etc. 50. Circuits and Electromagnetism: Current, batteries, voltage, potential energy, resistance, capacitors, etc. 51. Lab Techniques: NMR, distillation, chromatography, IR, etc. 54. Functional Groups: Alcohols, ethers, aldehydes, ketones, etc. 65. Cellular Transport: Channels, transporters, RTKs, GPCRs, etc. 74. Glycolysis: Reaction pathways, ADP, ATP, etc. 80. Social Psychology: Personality, physiological disorders, motivation, etc. 81. Social Perception: Prejudice and bias, stereotypes, self-fulfilling prophecy, etc. 84. Do Not Cram the Night Before: Cramming can be detrimental to your exam progress. If you do not know a topic the night before, you are not going to learn all of it the night before. Use this night to relax and get a good night’s sleep. 85. Bring Your Photo ID: Your photo ID is required to take the exam. Don’t forget it! 86. Remember Your Body Language and Posture: Your body language and posture has a big say on how you will present yourself on exam day. Make sure to stand up straight and not slouch. It will make you more awake. 87. Schedule Some Alone Time Afterwards: Make sure that you do not have anything scheduled after the exam. You will most likely be exhausted and not want to do anything afterwards. 88. Bring a Drink: You are not allowed to have a drink in the exam room, but you can bring one along to use outside. Something more than water can help to keep you awake and energized throughout the day. 89. Avoid Screen Time the Night Before: Blue light from your screen can make you stay up longer than intended. 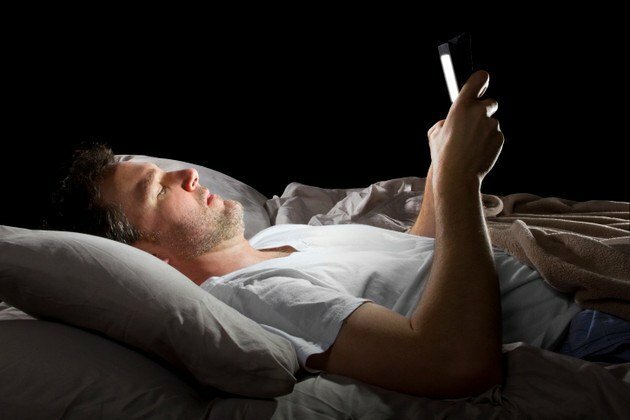 Try to avoid screen like your phones or TV right before bedtime so that you do not mess up your circadian rhythm. 90. Bring a Sweater: Sometimes it can be cold in the exam room. You can take layers on or off. If you are too hot you can take your sweater off and if you are cold then you can put it on. 92. Get Ready the Night Before: Pack your things and get ready the night before. It helps to ease the tension on exam morning because you know that you are ready to go once you wake up and get ready. No lost keys or wallets. 93. Bring a Snack: The MCAT is a pretty long exam and it is very easy to get hungry. Make sure to bring a snack to have during breaks so that you are not starving in the middle of the exam. 94. Leave Your Cell Phone in the Car: You are not allowed to have your cell phone in the exam room so do not take it in with you. You do not want to be kicked out because it goes off. Just leave it in the car. 95. Go to the Bathroom Before the Exam: Make sure to go to the bathroom before the exam starts. It can be really distracting to have to go during the exam! 96. Get a Good Night’s Sleep: A good night’s sleep is crucial to doing well on exam day. Make sure that you get a good night’s sleep and are well rested. You don’t want to fight dosing off during the exam. 97. Get to the Test Site Early: Get to the test site early to help alleviate all traffic and other issues. You will not be allowed to enter once the exam has started, so just get there early. 98. Steer Clear of Nervous People: Nervous people can give off bad energy. This energy can come off on you and make you nervous. Congregate around people who are happy, confident and not nervous. 99. Have a Good, Healthy Breakfast: A good healthy breakfast is crucial to doing well on exam day. It will keep you well nourished and not starving during the exam. Make sure that you eat your fill. 100. 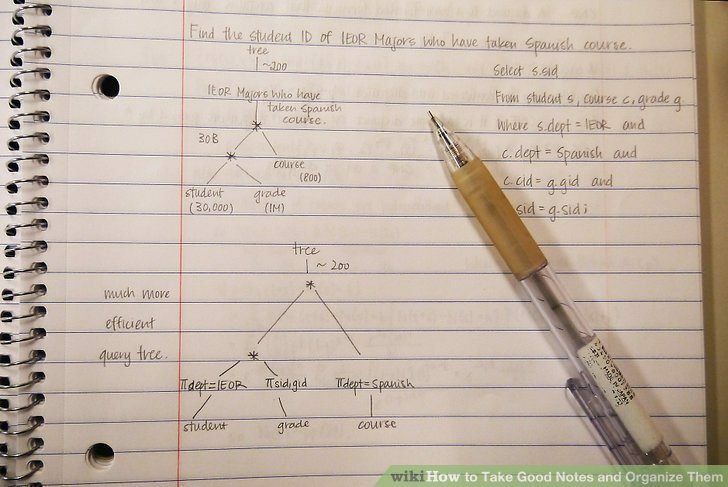 Bring More Than 1 Pencil: A pencil is a good thing to have during the exam and the ones provided may not be very good. Bring your own and more than one in case yours breaks. 101. Make a Plan to Get to the Testing Site: If you have never been to the testing site, make a plan to get there early. The exam site may be in an awkward area or layout. Make plans in advance. You’re a lifesaver! My sister is wanting to go to med school but she needs to take the MCAT before she could proceed. She asked my help so I’m trying to gather ideas on how I could help her study and get a high score. I agree that thorough preparation is needed especially for very important tasks. I’ll be sure to use your article as a reference when I discuss my plans with her. Wish us luck!